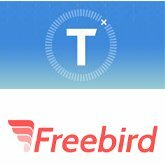 Traxo, a travel data aggregation and itinerary intelligence provider, and Freebird, which offers solutions in flight disruption management, announced a new partnership that they say will help companies better manage flight disruptions for traveling employees. Corporate clients using both the Freebird and Traxo CONNECT services can now proactively offer employees rebooking options for disrupted flights – even when those flight bookings were made outside company booking tools or a corporate travel agency. Mike Daly, senior vice president of sales for Freebird, said that details of flights booked outside managed travel were not visible to Freebird but the partnership will close that gap in flight protection. Cara Whitehill, chief commercial officer for Traxo, said the arrangement works well for large companies needing flight disruption protection for off-channel air bookings as well as for small companies with an unmanaged travel program.